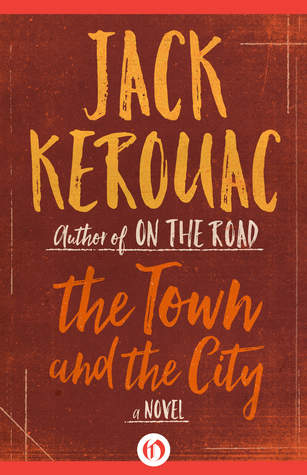 The Town and the City: A Novel by Jack Kerouac is Kerouac’s first novel and writing in a semi-autobiographical form. Kerouac needs no introduction to most readers. Everyone has read On the Road or at least, said they have read it. I found Kerouac difficult at first and the writing did not seem to flow right. A friend suggested I read it like the beat performers spoke and suddenly On the Road was very readable. The Town and the City: A Novel needs no special reading and is an excellent place to start for a reader wanting to pick up Kerouac. It flows well and tells the story Peter Martin a local boy who was unsure of himself until a day at football practice changes him. Peter (Jack Kerouac) is compared and contrasted with his brothers. Joe is the easy going trucking driving, beer drinking older brother who makes no more of his life than what it is and is content with it. Francis the wine drinking intellectual who longs for bigger and better things who finds himself in “his own cocoon of tormented adolescence.” He does, however, have one of the most emotional encounters in the book. Kerouac in his earlier days loved to compare and contrast. InThe Town and the City it is not only the brothers that are examined but the town of Galloway, Massachusetts and New York City. Also compared are the character in both Galloway and New York. In New York Kerouac, as always, remembers his friends. Allen Ginsberg and William Burroughs are present with a host of renamed beat friends. War and bankruptcy help drive the story. Kerouac’s earlier work is much different from his more well-known later works. The writing is much more standard in format and the storytelling is more traditional than his later works. In a previously unreleased book, The Sea is my Brother(1940) many of the same writing mannerisms can be found. In The Sea is my Brother two brothers are compared and outgoing one and a safe one. They make a composite of Kerouac. In The Town and the City, we can also see this in Peter who like Kerouac was a football play and merchant marine. In Joe, we see a bit of the Dharma Bum and traveler. In Francis, we see the wine drinking cynic. There may even be a bit of Ginsberg in Francis who voluntarily commits himself to avoid an unpleasant alternative. Kerouac, even in his early fiction, writes about what he knows and lives. He lived an interesting life with interesting friends and what was not interesting could be changed by writing. The Town and the City provides not only a great story but insight into the so to be famous writer and Beat generation icon. BTW: Paul Maher Jr., author of “Kerouac: The Definitive Biography” – dived deep not only into K’s work – but especially into “The Town” – as can be reread here. It’s worth a dive yourself.